The staff at Corydon Village Medical Centre are committed to providing each patient with an exceptional level of care and attention. We are proud to be physician owned and operated practice. Our dedicated staff works together as a team to provide high-quality comprehensive care. Our companionate and understanding doctors take pride in paying close attention to each patient’s needs. Because we are physician owned, we are patient driven. This means that we’re committed to providing effective care that is responsive to the needs of the community. Our professional staff understands the need of consistent care and are trained to provide the highest level of service. Our Facility provides access to other valuable health resources such as Pharmacy, minor procedures services and a Lab is coming soon. 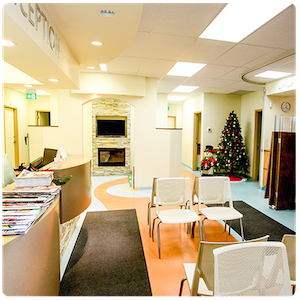 Corydon Village Medical Centre strives to provide quality medical care. A missed appointment leaves an empty slot that could have been used by a patient in need of medical care. Not cancelling an appointment in a timely fashion is unfair to other patients. If you are unable to keep your appointment we ask that you cancel with at least 24 hours in advance so that time will be made available to someone else. A missed appointment or “no show” occurs when a patient fails to give notice that the appointment cannot be kept. A $25.00 fee will be payable for all regular missed appointments and a $50.00 fee will be payable for all missed complete examinations. Corydon Village Medical Centre does not want to charge anyone the missed appointment fee. Please cancel your appointment so that other patients can be seen. As a patient it is your responsibility to keep track of your appointments. We endeavour to assist you by reminder telephone calls or emails but ultimately it is your responsibility. Please ensure that your contact information at the office is kept current.